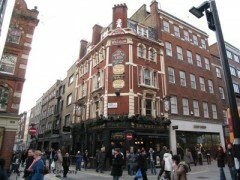 About: The White Lion is a small pub with an upstairs restaurant and private bar. They serve a selection of beers, wines, spirits and soft drinks. The White Lion serves traditional English and vegetarian cuisine. Entertainment is provided in the form of Sky TV, background music and fruit machines. Private parties for up to 60 people are available upon request. Seating on the pavement area is provided, weather permitting.